'Aquarian' (Marky Smith, R. 2006) Seedling #04-22A. IB, 24" (61 cm) Early bloom. 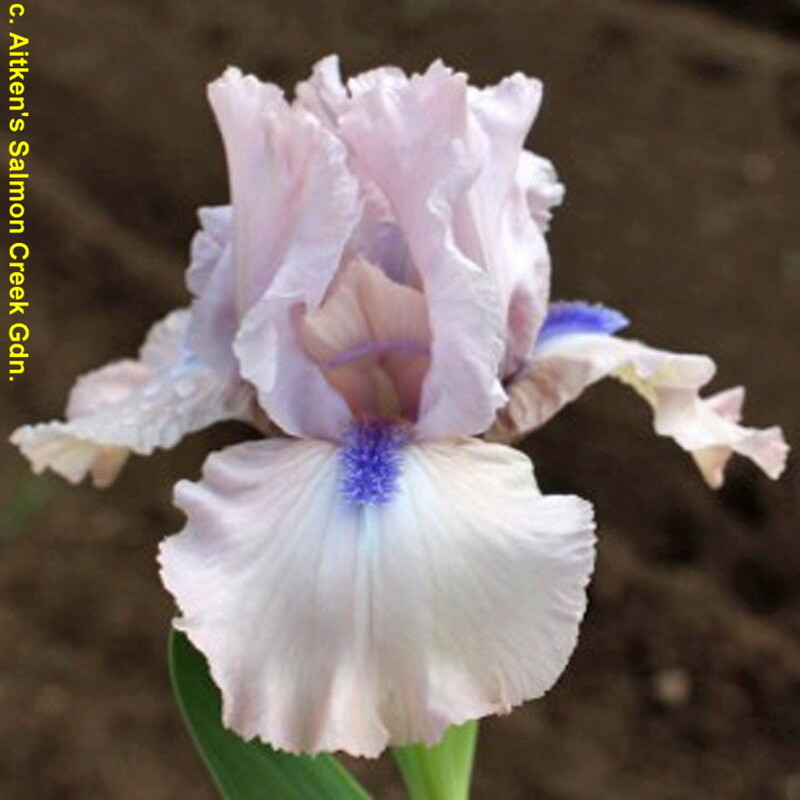 Standards baby pink, slightly grayed (RHS 62D), green veined midrib, inner base tinted lilac; style arms cream, pink rib and crest; falls (62D), cream area around and below beard; beards lavender blue (91A), tipped more rootbeer in throat; ruffled. 'Lotus Land' X seedling #02-05A: (seedling #00-07P, sibling to 'Plainsong' x 'Tickety Boo'). Aitken 2017. From Aitken’s catalog, 2017: AQUARIAN (IB) (M. Smith '17) IB 24" (61 cm) E. Free flowering until freeze up. 4 or 5 buds in spring bloom. More on rebloom. Baby pink standards, green-veined midrib, inner base tinted lilac. Styles arms cream with pink rib and crest. Pink falls have a cream area around and below a dark electric blue beard, tipped more root beer in the throat. Ruffled. Sdlg #04-22: (Lotus Land X 02-05 A: (00-07 Plainsong sib x Tickety Boo)). SKU: 17IB101. $20.00.